A recent survey by the Information and Resource Center for Deprived Urban Communities (IRCDUC) has shed light on the precarious living conditions and lack of access to basic services by a majority of homeless children in the city. The city’s homeless have long been relegated to the fringes and left to fend for themselves. Efforts to increase the number of night shelters and other services available to them has moved at glacial pace. Understanding the services available and availed by the urban homeless, especially children, becomes vital to improve facilities and service delivery. The IRCDUC survey examined eleven parameters including access to and use of angawadis, nutritional levels and immunisation. 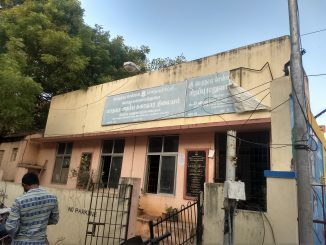 The survey was undertaken in eight zones in the city – Tondiarpet, Royapuram, Thiru Vi Ka Nagar, Ambattur, Teynampet, Kodambakkam, Alandur and Adyar. 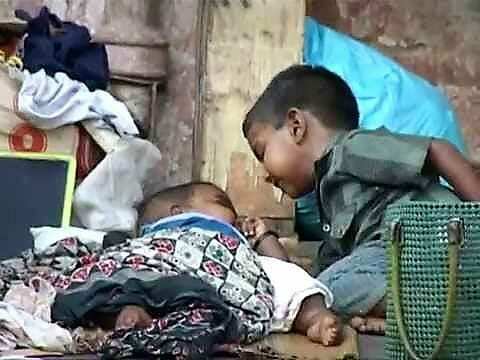 The survey covered 206 homeless children up to the age of 5, of which 107 were girls and 99 were boys. The aim of the study was to shed light on the need to address lack of education, nutrition and healthcare for children who constitute 35% of the homeless population in the city. A recent enumeration exercise by the Corporation of Chennai is said to have identified 9000 homeless people in the city. The homeless are clustered in certain zones in high numbers, for example in Royapuram and Alandur. Chennai has a woefully inadequate number of shelter homes in proportion to its total population, with only 47 homeless shelters run by the Chennai Corporation.The facilities in these centres have also been found to be far from adequate, with lack of proper sanitation, lack of privacy, over-crowding during summer and monsoon seasons. The absence of family shelters in particular increases the reluctance among homeless communities to avail of them. The reluctance to use shelters also stems from the fact that many of them seek shelter close to their work. With so few viable options, most shelters do not meet the criteria and are hence shunned. In such an atmosphere, children who are homeless must have access to the necessary services that ensure adequate nutrition and education and which can enable them to break out of the cycle of poverty that plagues the population. The survey by IRCDUC addresses issues such as supplementary nutrition, immunisation and availability of healthcare records. Trained investigators conducted extensive field interviews among the children and their mothers in the aforementioned zones to assess the state of services accessed by them. The study also shed light on the socioeconomic profile of the respondents, many of whose families have been homeless for decades. Caste: 90% of the respondents belonged to the Scheduled Caste (SC), 7% were part of Scheduled Tribe (ST), 2% belonged to Most Backward Caste (MBC) and 1% were Backward Caste (BC). Age: Around 57% of the children in the survey were between 2-5 years of age. 23% of the respondents were between 1-2 years and 11 % between 6 months and 1 year. 9% were under 6 months old. The questions were directed at the mothers of the children. Habitation: The respondents lived rough in various parts of the city, predominantly in Zones V and XII. Of those surveyed, 74% were pavement dwellers, 14% lived in front of shops, 8% resided below bridges and 4% occupied public spaces such as bus stands. The survey covered key services that provide homeless children with healthcare, education and nutrition. The findings from the survey paint a bleak picture that excludes homeless children from basic services. The respondents in the survey have cited various predicaments encountered by them. In terms of access to anganwadi Centers and the services offered by them, only 54% of the respondents said they have access. The reasons cited by others ranged from lack of awareness about location of anganwadis to fear of discrimination due to their homelessness. The other issues flagged by respondents include fear of kidnapping of children as they dwell on the streets, with two such instances having been found during the course of the survey. The woeful state of available sanitation facilities is also highlighted: children often have to resort to open defecation, unable to afford paid public toilet facilities. Mothers also responded saying that children suffered from fever, cough, wheezing and diarrhoea as a result of their living conditions. In terms of healthcare and immunisation, 97% of the children reported having been vaccinated. The records for immunisation are also available among 82% of the respondents. Those not in possession of records said they had either lost them to the floods or that the records were with the hospital. As for polio drops, 4% have not been administered the drops despite many awareness drives and 15% have never been administered de-worming medicines. The survey’s results on access to nutrition through anganwadis is disheartening. Many homeless children were unaware of the locations and facilities offered at anganwadis. Those who were, also did not avail the supplementary nutrition and meals provided through the anganwadis on regular basis. 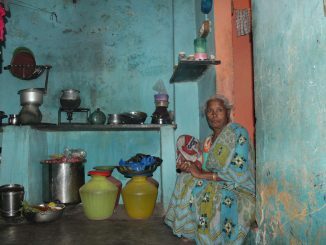 The anganwadis provide supplementary nutrition in the form of weaning food that contains amylase in the form of a laddu to children aged 6 months to a year, supplementary nutrition and one boiled egg per week for children between 1-2 years, supplementary nutrition and nutritious meals containing Green Gram, Bengal Gram and Potato for children between 2-5 years of age. Out of this, only 44% of children between 6 months and 1 year avail anganwadi supplements, 47% between 1-2 years access supplementary nutrition and one egg per week, 54% between 2-5 years avail supplementary nutrition, meal offered by the angawadis. A whopping 46% of the respondents do not access any service offered by anganwadis. The anganwadis also provide preschool education for children between 2-5 years of age. Only 54% of the respondents attended preschool in anganwadis. The survey and findings have raised pertinent questions about the welfare of homeless children and the responsibility of the state towards their well-being. The recommendations put forth by the study takes into account the needs of the population and an ideal response to them. Key proposals include sessions by the authorities sensitising the homeless on services offered by the anganwadis and their location. There is also the need to open more anganwadi centers around homeless hotspots in the city. The study highlights Parry’s, Broadway and Mannadi as locations most in need of new anganwadi centers. The study also recommends that the Corporation of Chennai conduct regular health camps for the homeless and link them to the nearest primary health center. There is also a pressing need to open family shelters so that more people can avail of them without fear of separation from their families. Adequate budgetary allocations for the urban homeless in all central and state schemes is vital for provision of much needed services. Even as Corporation of Chennai has taken various steps to aid the homeless, starting with their enumeration, the perilous state of the homeless, particularly children, will require concerted and continuous effort by various agencies to ensure better quality of life. Ever wondered where all the litter in your streets accumulated through the day and evening disappear the next morning? Meet the women who sweep the streets of Chennai for a pittance, have little by way of of job security and remain largely unseen by all citizens.